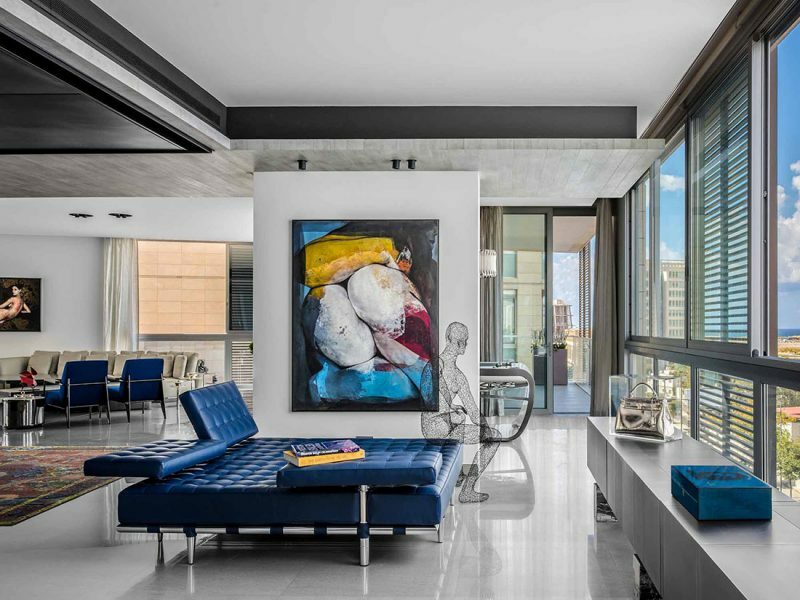 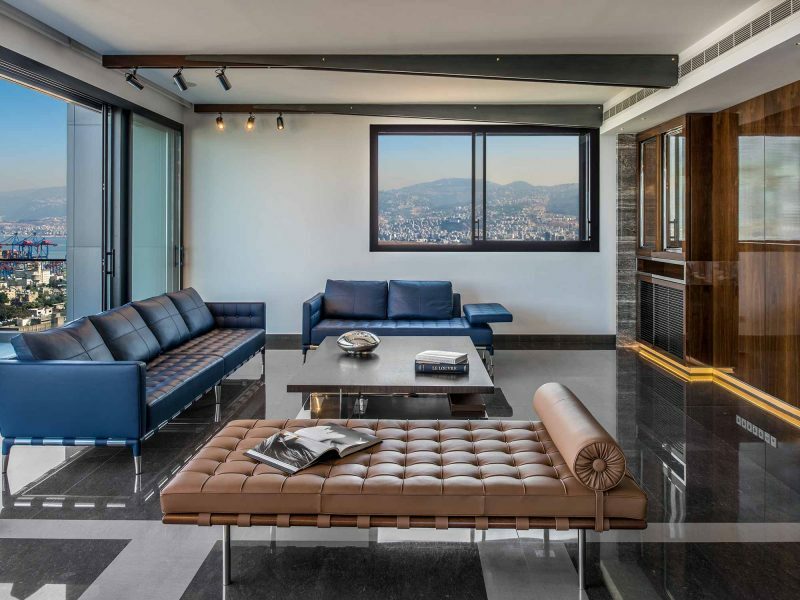 A modern house located in the beating heart of Downtown Beirut, One Oak 5A2 is the quintessential bachelor pad. 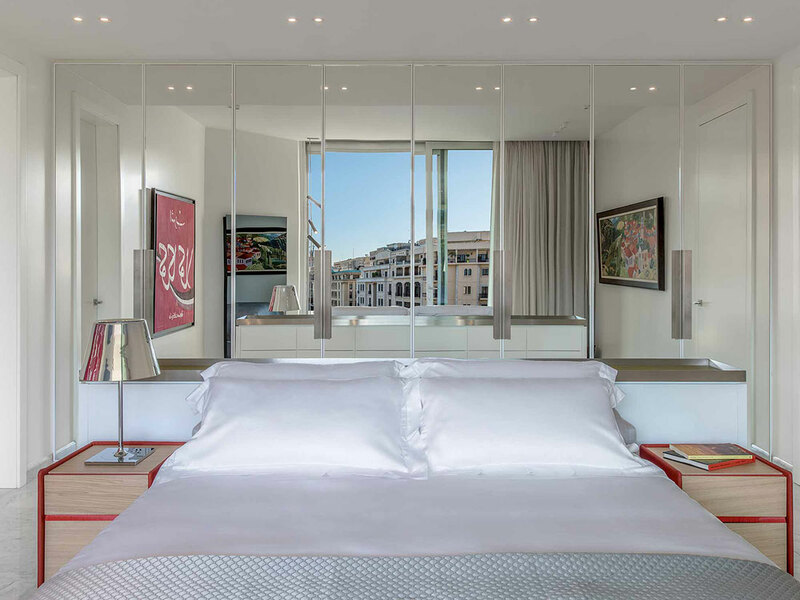 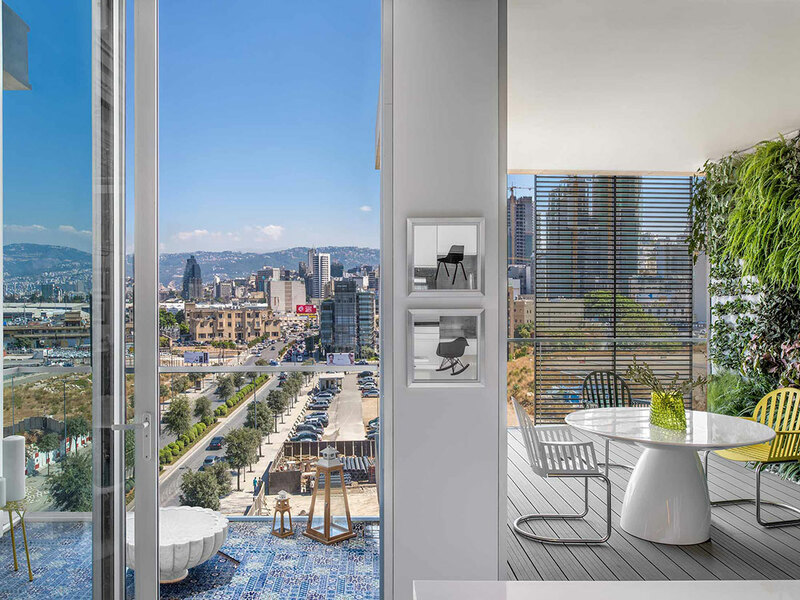 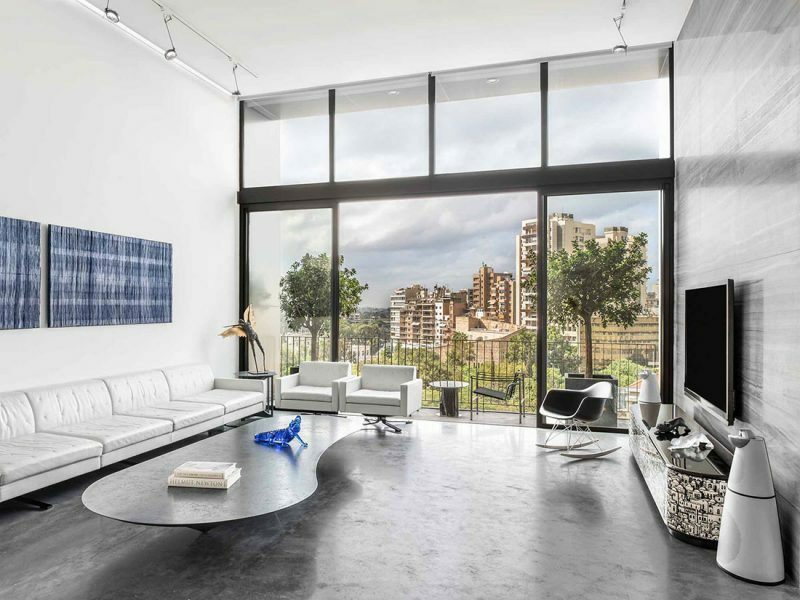 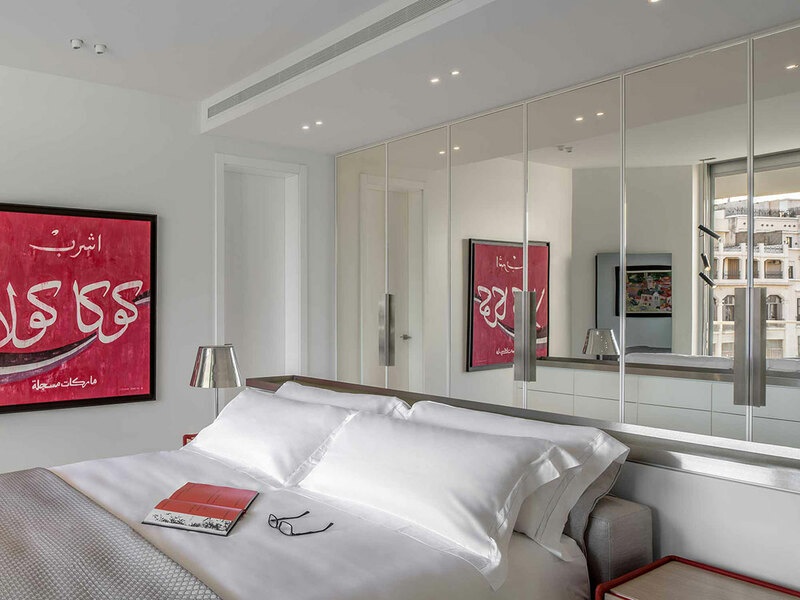 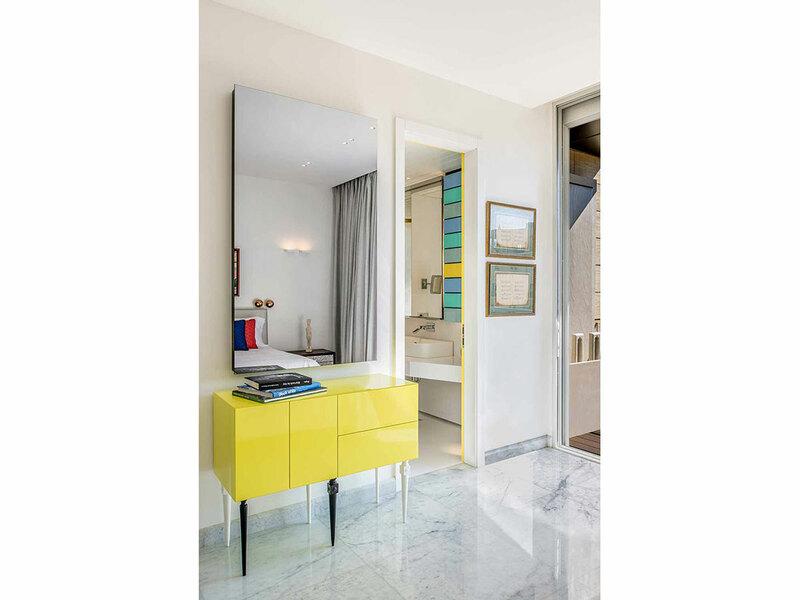 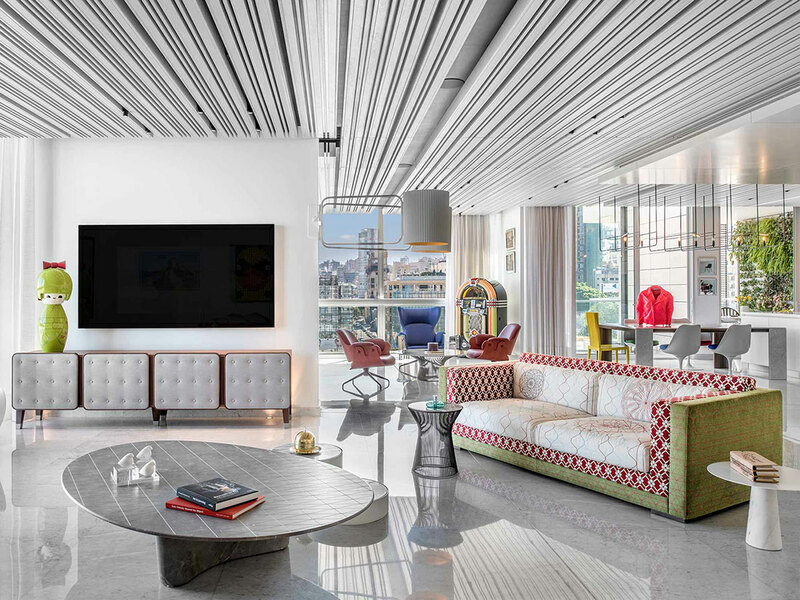 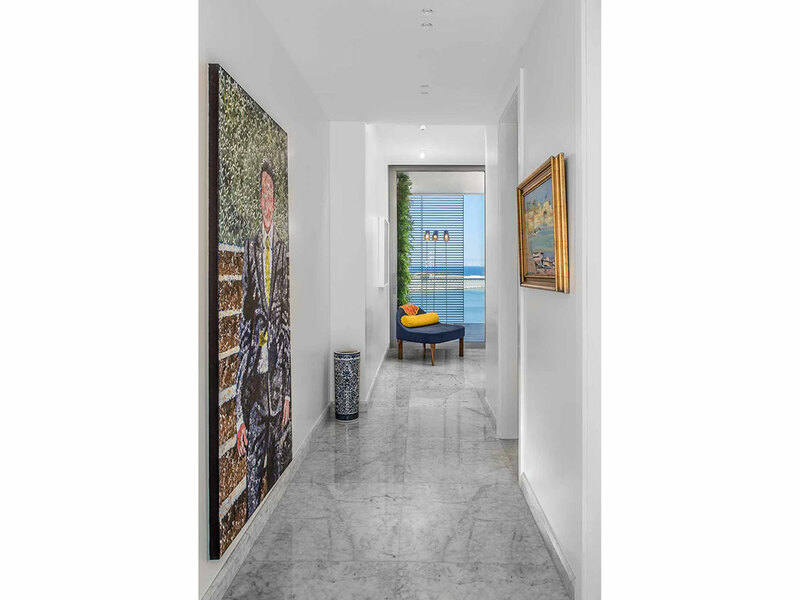 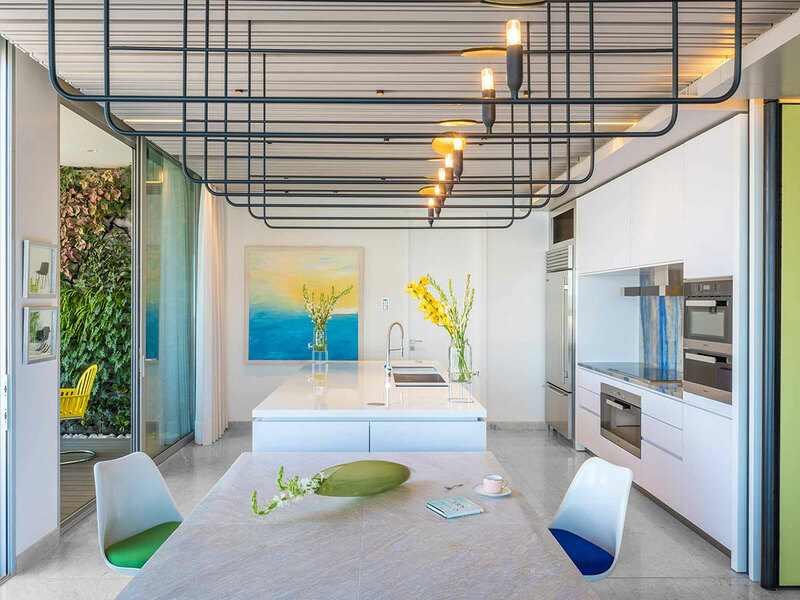 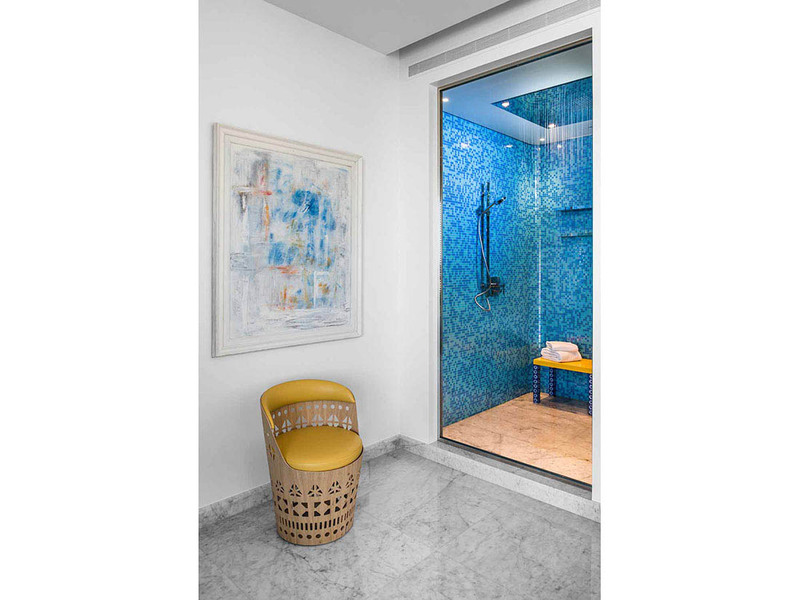 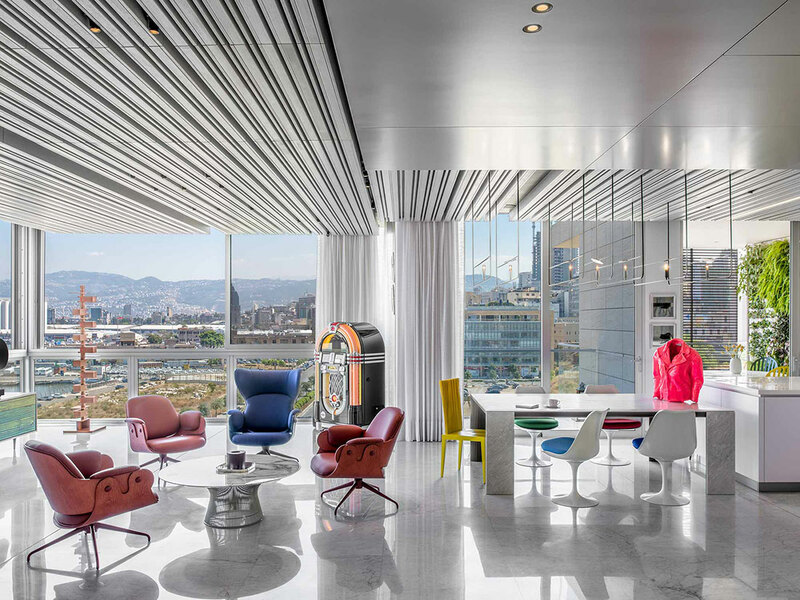 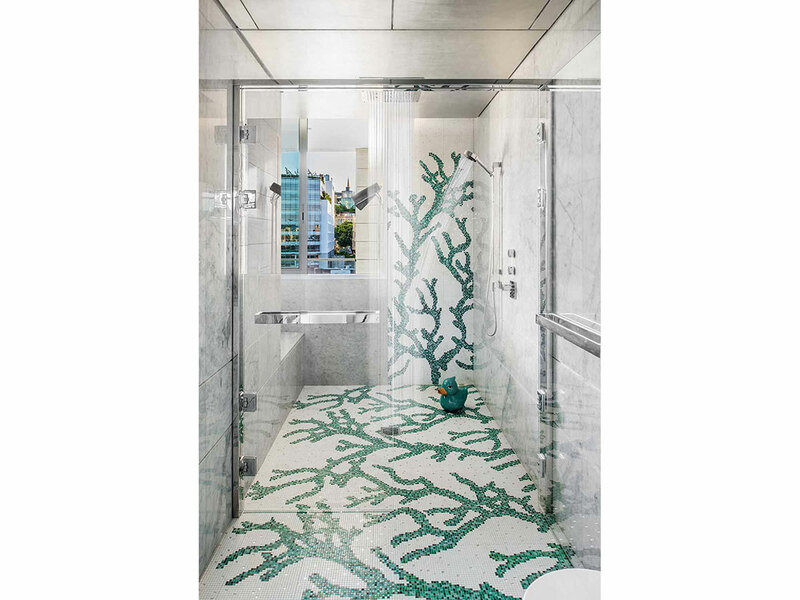 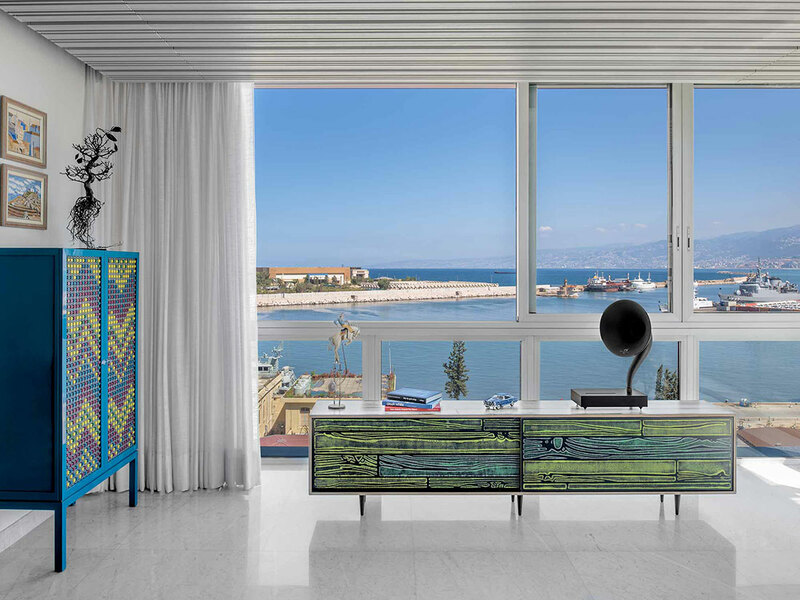 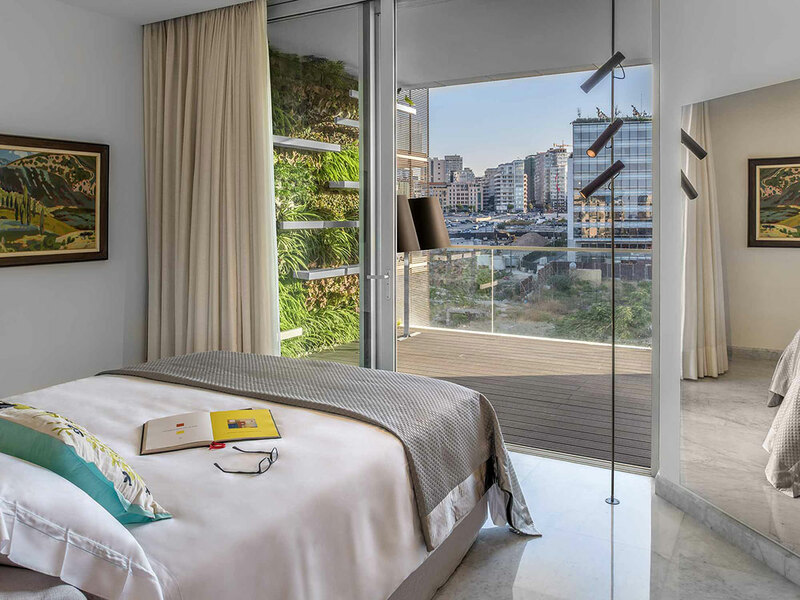 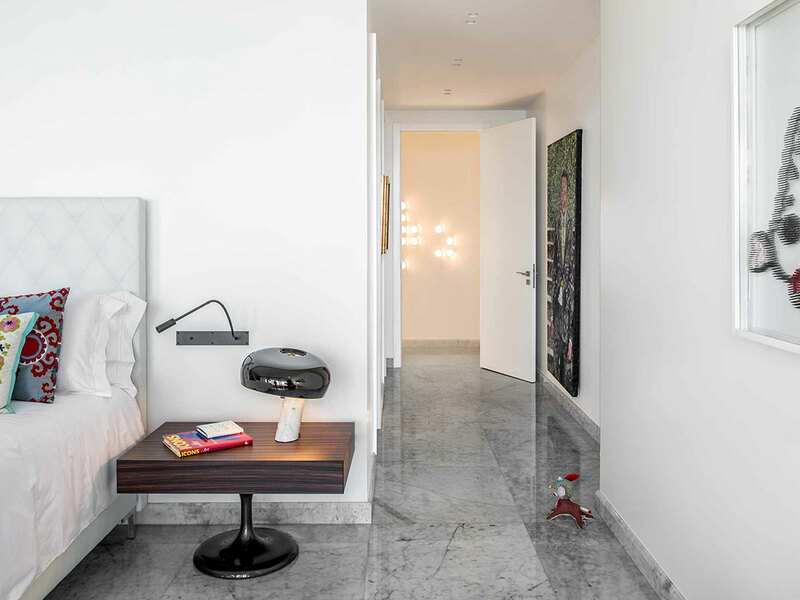 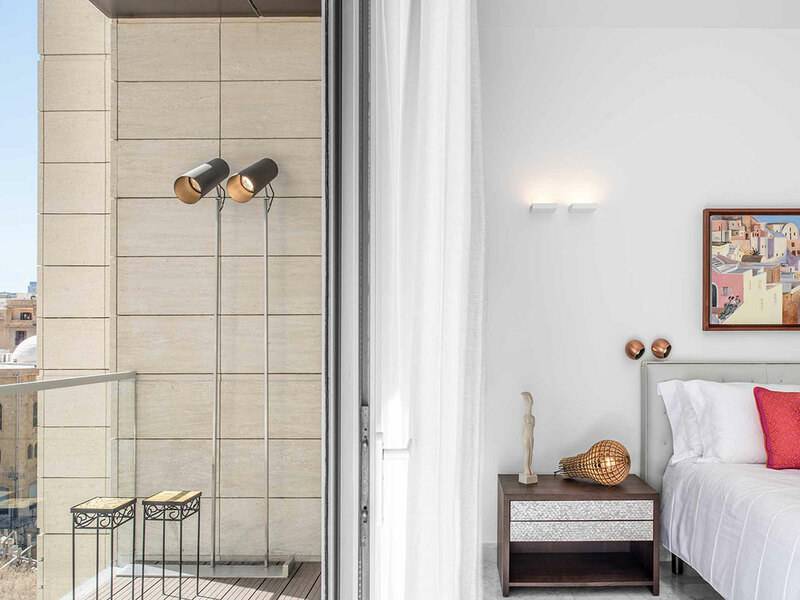 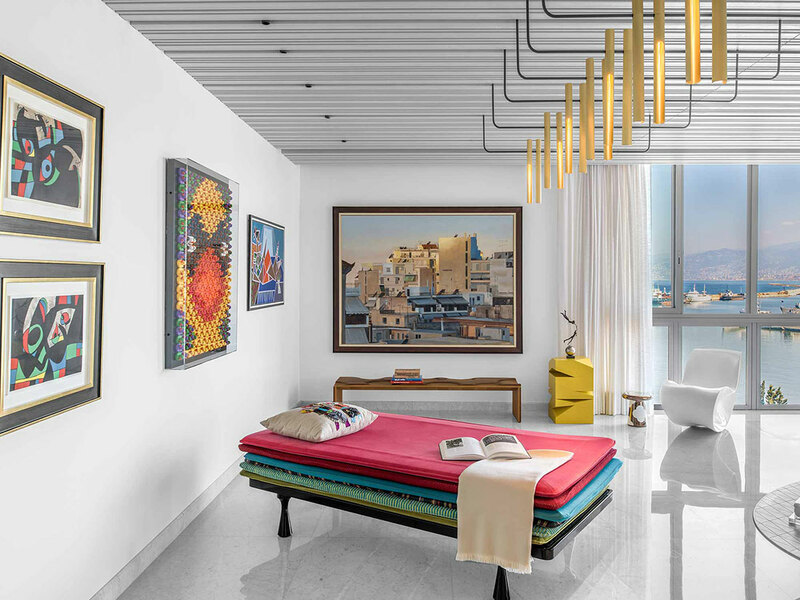 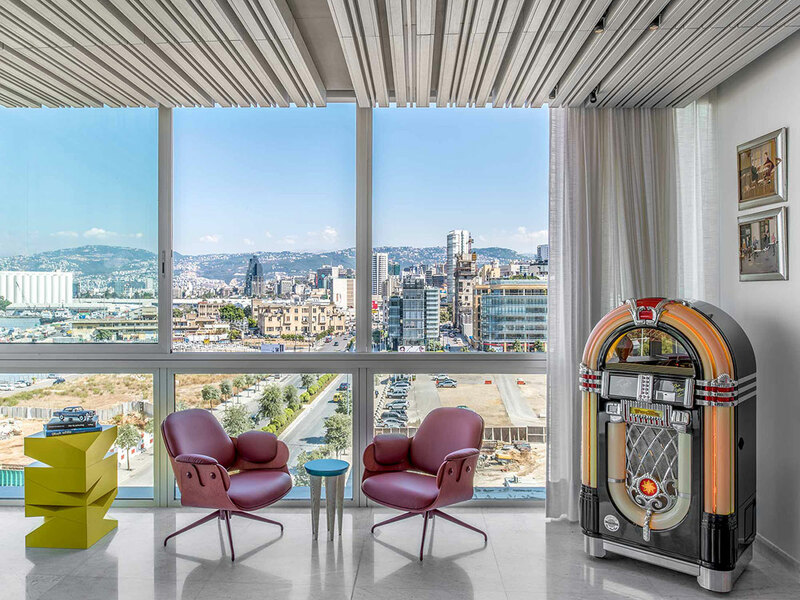 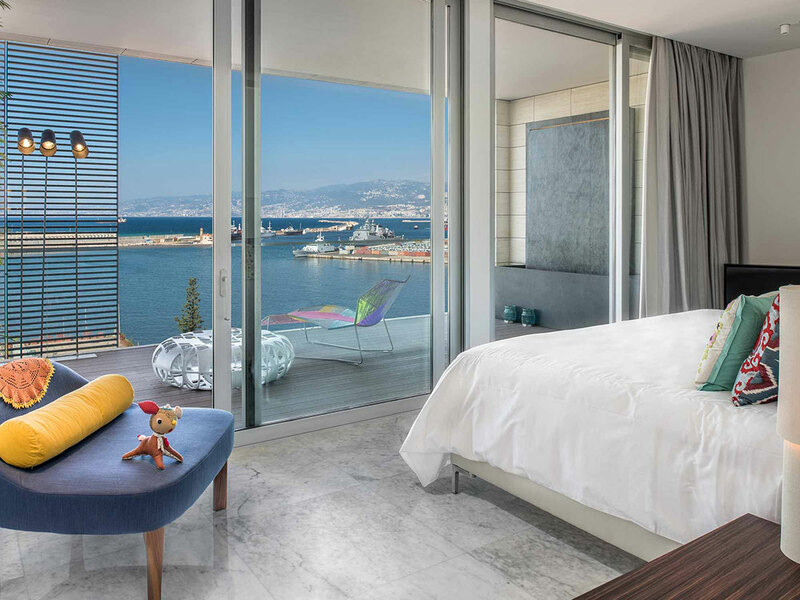 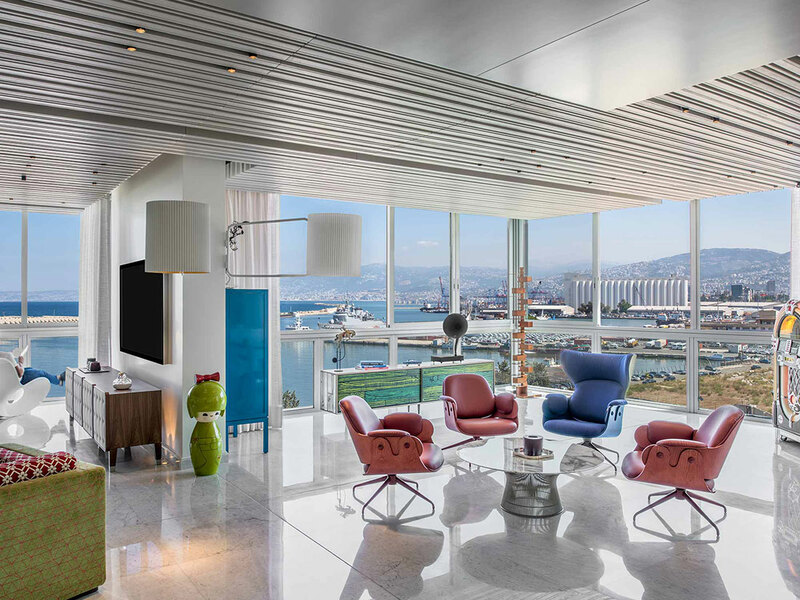 Featuring 400m2 of beautifully-designed space and overlooking the blue Mediterranean Sea on one side and the Roman ruins and Beirut Downtown on the other, both the outside architecture and the apartment itself are very minimalistic, with the intricate ceiling serving as the pièce de résistance in order to project the art pieces and colourful interior décor. 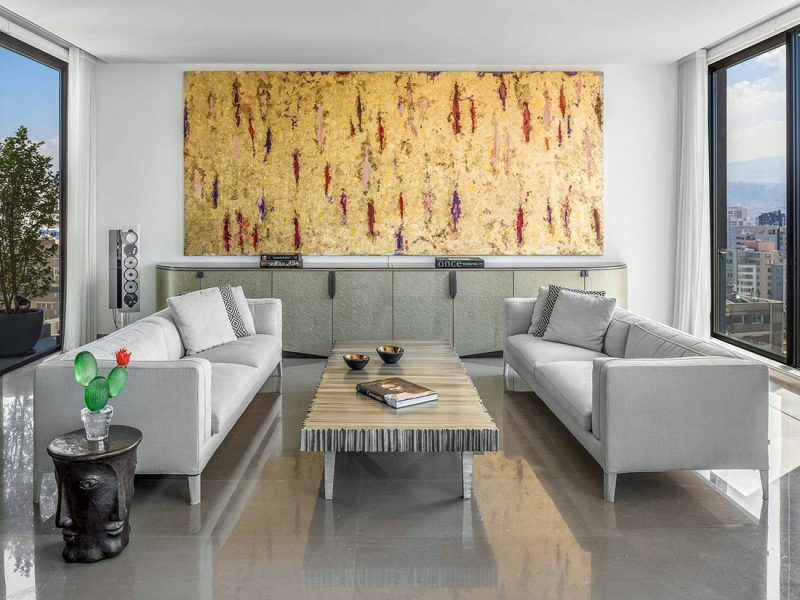 The owner of the house is a well-travelled art collector who sells art works and unique furniture pieces, and who wanted the flat to reflect his own personal experience, drawing inspiration from the vibrant places he’s visited. 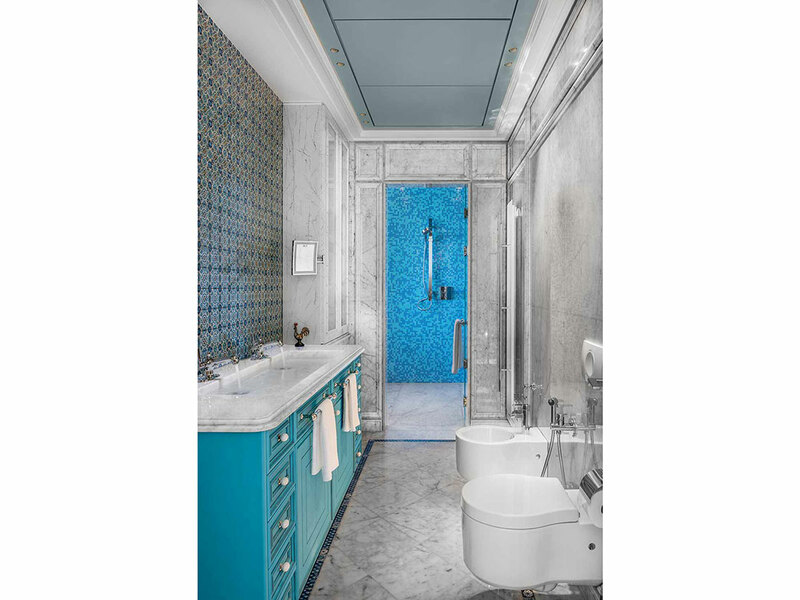 As a result, One Oak 5A2 is a vibrant mishmash of worldly influences and vibrant décor in traditional Moroccan, Arabesque and Grecian patterns and textures, among many others.